Smartphones are in everyone’s pockets. Almost every adult today owns a smartphone, and this number is expected to grow even further. The core function of a smartphone (rather than making communication) is to host some mobile apps. 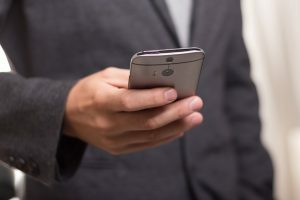 As businesses move from the practices of marketing using pamphlets, mobile phones are poised to be the next big thing as far as establishing your online presence is concerned. Are you convinced that creating a mobile app is the next frontier as far as your business is concerned? Here are some ways your company will benefit from building a mobile app for your customers. Business transactions are about reciprocation. The business offers its clientele something they need, which in return compels them to open their wallets. As your company strives to provide more value to its customers and provide some wallet opening engagement, it is imperative to offer them the best products and services. A mobile app presents a sure-fire way of providing value to your customers. One way of doing so requires you to create some loyalty program within your app. The more customers use the app, the more points they amass, which can in turn be used to access great deals offered by the app. Another good reason to invest in a mobile app for your business is to build up your brand. Mobile apps give you a rare opportunity of encouraging regular interactions with your customers, which goes a long way in fostering trust. If your customers can trust you, you can be sure that they will listen to sales pitches and buy into what your brand stands for. Lots of businesses today have realized that the gains that come with using mobile apps are in building their brand name. Businesses from major sectors of the economy have been rolling out strategies for mobile app development. If you need to strengthen your brand name, you must get on board. A mobile app can help you collect useful information for further analysis. With a business app, it becomes a lot easier to assess key business metrics and consumer behaviour. For instance, you can start by looking at the time each customer spends on your app, functions that are mostly used, and the products they buy most. Studying the way your customers use your app can help you find ways of improving it to serve them better. Understanding customer needs and customizing your offerings is vital for business success. Since other players in the industry are developing apps for their businesses, you have no reason not to have your business app too. If your competitors are yet to see the need for having a mobile app, having one yourself can help you take a huge leap. Standing out from the rest due to your forward thinking approach is vital in the ever-competitive business environment. Convinced yet? By now you should have got a taste of what it is to have a business app. The next step should be to enlist the services of an app development agency. This way, you can get the best app possible for your business. Your app is going to be a key tenet of your business. It is therefore up to you to have the best app.